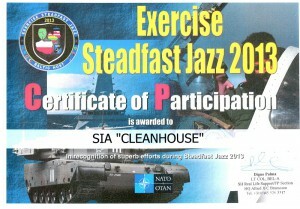 While continuing implementation of international projects, Cleanhouse provided cleaning services to NATO during the military training Steadfast Jazz 2013, which took place in Adazi Military Base from October 28 to November 9. 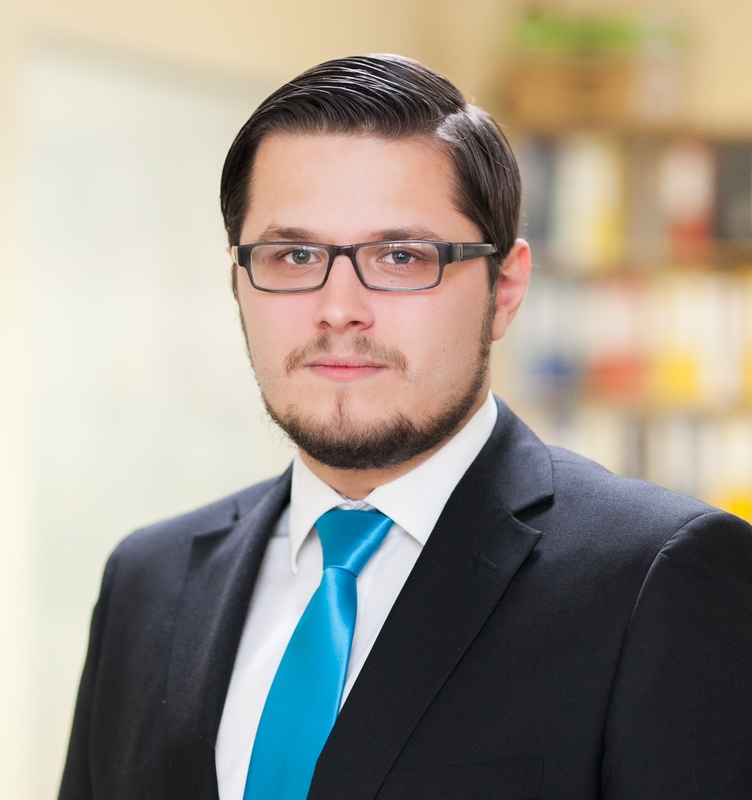 Considering the high security requirements, providing such services was a new challenge to all Cleanhouse team. Despite having a Certificate of industrial security and special licences to work with state security objects, works in tent area, where the most active part of training took place, were done under security guard supervision that required extremely efficient work organization. Providing such services in less intensive regime was launched already at the beginning of October. The total service area was 14.728 m2. 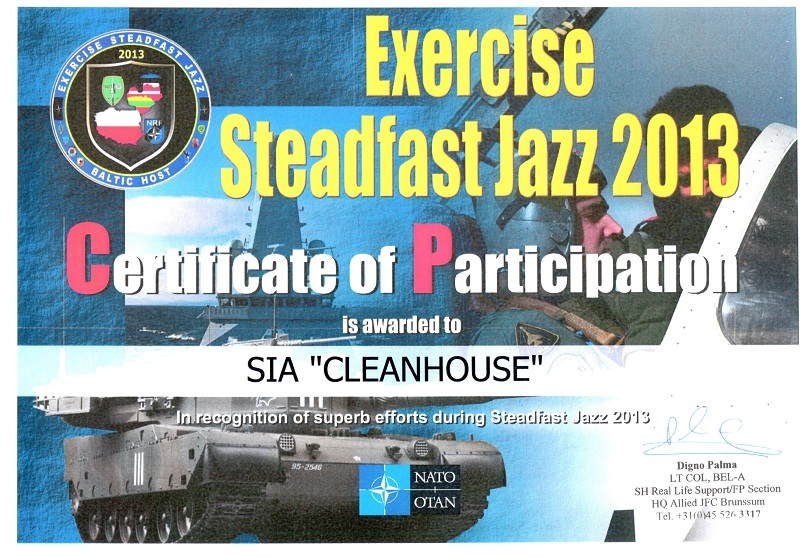 Cleanhouse also received a Certificate of Appreciation from organizers as attestation to high quality of service. Site of event may be found at here.